• Maintenance and repair batteries. • Reconditioning and battery regeneration. • Management and Battery park maintenance. • Sale of new truck batteries. • accessories and battery chargers Sale. • Sales and rental and regenerative discharge benches. Improve your profitability and meet the sustainable development goals. • Limit your waste. • Staying in compliance with the regulation. BRT10: Here is the latest addition to the family! 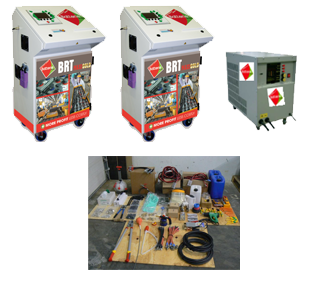 BRT10 : In collaboration with the company BeEnergy the regenerator BRT10 has been developed to meet new market demands. WET, AGM or GEL, everything is regenerable. Processing capacity of 6 to 48volts, up to 4 batteries 12v a day! This device is mobile and lightweight powered single phase 220v.
. Presented at Pollutec he already knows a great success with developing countries. 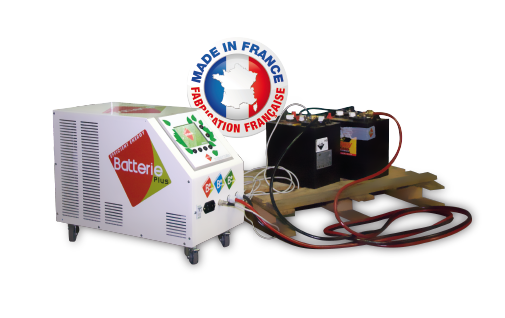 The BRT 20© is a machine built in France meeting the standards of performance and international security. A simple and automatic programming associated with multiple sensors (voltage, temperature, amperage, short circuit analysis, impedance ...) makes the regeneration simple and accessible as many as quantity possible. This is the result of many years of experience and rigour of Battery Plus. 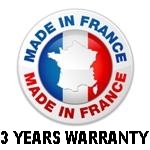 It accompanies the biggest French and international industries. Global Starting, traction and ups batteries.